Today, the trend is of mobile apps. In New York City, at Yahoo’s mobile developer conference; company’s senior vice president revealed that SEO, SEM and blue links all are now available on mobile as people now browse internet mostly on their mobile devices or make use of mobile apps instead of surfing on the internet. 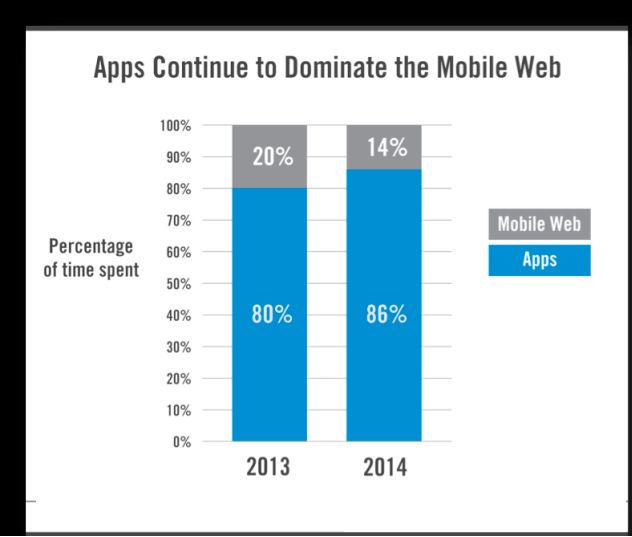 Slowly, we can see mobile applications are dominating the online world. So, does this mean that traditional marketing with SEO & SEM is going to vanish from the market? Well, according to industry experts; this is not the case. Yes, we certainly agree that mobile apps have made it convenient for users to get benefitted from most of the services. However, still enormous amount of information can be obtained via browsers. However, keeping in mind the entire scenario; it is obvious to think whether the search using browsers will continue or will vanish? What will be the state of SEO & SEM in this app world? According to a digital marketing expert; SEO & SEM will still be prevalent in the market however the way SEO & SEM are carried out will change to an extent. Mobile data offers you the opportunity to enhance your search quality. Maximum data will help you with better outcome. Now days, the way people look at SEO will definitely change. This means blue links will be optimized effectively. For certain type of search behaviours like as local search it is segmented among various mobile apps like as App Maps, TripAdvisor, Four Square and so on. However, for some necessary search behaviours like as B2B sales; SEO is very important. SEO & SEM may not vanish however mobile apps have become a good threat for Google. Slowly, the use of apps for various tasks will reduce the need for Google to be the one stop destination for any and every search because now for every service there’s a mobile app available. Thinking about this, Google took necessary steps and now it is constantly working to improve its search results for mobile display. It has also launched Google’s mobile algorithm which will rank only those sites who actually have content that is displayed properly on various mobile devices. But still, its efforts have covered only 50% of U.S. mobile market. Google is aware of the changing search patterns and hence lot of efforts are being made to boost HTML 5 and index the required apps. Slowly, the conventional search form is changing and this serves to be an ideal model for this mobile world. Everybody lacks the relevant answer as of now. However, it is believed that best model must be completely different. It should be like before actually users type anything in the search bar, the device must predict what users are looking for and provide them things that they need. The information must be available keeping in mind what actually users need. It should solve their pain points and provide them with convenient solutions. Next time, you opt for any of the search engine marketing techniques; make sure that it covers something which makes it easy for people to get what they want. It is necessary to keep in mind the mobile display techniques as well. For a better SEM strategy, stay connected with Platinum SEO; a well known provider of services related to SEM & SEO in Brisbane.